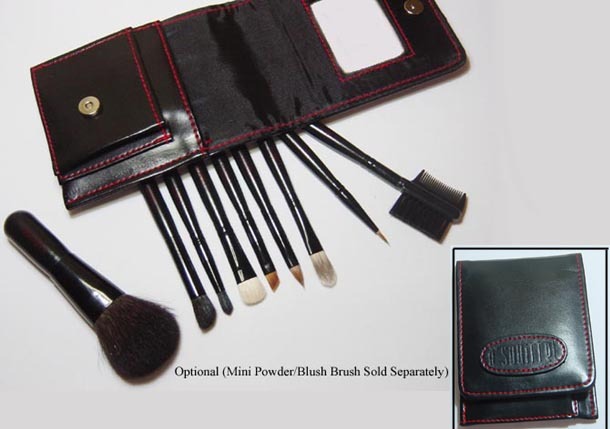 Squirrel Hair Mini Makeup Brush Set with FULL SIZE PROFESSIONAL QUALITY BRUSH HEADS ! Purse-sized! 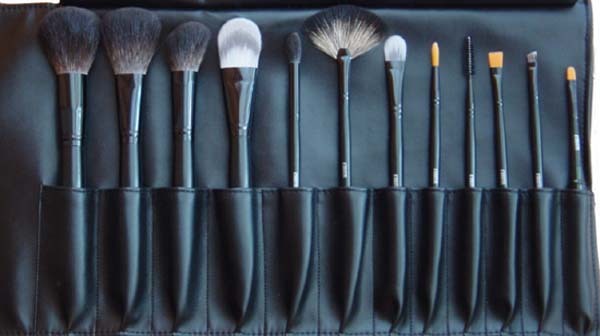 All 8 Makeup Brushes are individually wrapped for added protection and comes in a Sleek Faux Leather Black Bag (11cm x 8cm) with Mirror with a magnetic closure.